OPEN: From the open source software industry: decentralised, shared, free. From the general dictionary definition: unrestricted, honest, transparent. 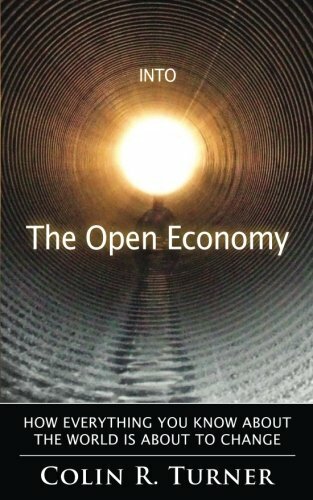 Of course, an Open Economy is not really just an economy. It’s a whole systems approach to running an optimum, compassionate human society that serves everyone equally. This can only be done by stepping out of our traditional constraints of trade and governance and agreeing on a common purpose. Everyone wants to live in a better world – there’s no doubt about that. But, because we are all trying hard to make a good life for ourselves, the industry and disconnection this creates is actually making things worse for everyone – including ourselves. An Open Economy is about jointly changing our priorities towards a common purpose. We understand that self-based thinking is no longer serving our long term interest. If we each agree to shift our priorities from ‘I’ to ‘all’, we will all be better off. Let me explain. Imagine a fish barrel and seven people fishing from that barrel. Everyone trying to catch the best and most fish to feed themselves. Everyone fishes at more or less the same pace, with no-one being able to stop to consider how best to manage the fish supply or maintain water quality, because by doing so, they will lose out on fish themselves. Eventually, through lack of management, the fish will be gone. The other potential outcome is, one or more people will develop a better tool or technique for catching fish. Pretty soon, they are going to have all the fish, leaving the others either hungry or subservient to them in some way, e.g., buying their fish. It’s clear from this example that teamwork would be a far better approach. By dedicating people to certain tasks like managing supply, preparing and cooking the fish or creating new technology, the group ensures that stocks are managed well and that the best and most sustainable techniques are employed to benefit everyone. In other words, the people change their purpose from self-interest to group interest. This is what successful companies do, they employ efficient teamwork with a common core goal: higher profits for the company. Being united in that common goal creates efficiency. We are now seven billion people around a fish barrel Earth. There is no common goal, and no coordinated team effort to manage our society and biosphere in a fair and sustainable way. Trade and governance prevent this from happening. In an Open Economy, humanity understands and unites in this common purpose – to create a better life for everyone, and in doing so, create a better life for ourselves.